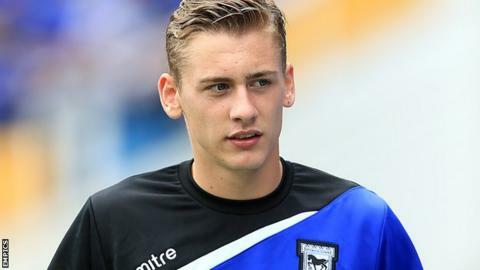 League One side Gillingham have signed Ipswich Town defender Elliott Hewitt on a 28-day loan deal. The 19-year-old right-back, who joined the Tractor Boys from Macclesfield in summer 2012, has made four appearances this season. The Wales Under-21 international will provide cover, with Matt Fish a long-term absentee and loanee Michael Harriman away on international duty. Hewitt is not eligible to feature for Gillingham in the FA Cup. The Welshman becomes Gills manager Peter Taylor's third signing since his return to Priestfield, following the arrivals of midfielder John Mousinho and striker Craig Fagan.